Robot Network 12 is now available for download. See the following information for details on moving to the latest version and the new features you'll enjoy. Robot Network 11 users can now convert to version 12. Go to the My Downloads page and download the conversion files. Access the conversion instructions for Robot Network 10 or 11 users. Contact Technical Support with any questions. Enter the command 'RBTNETLIB/RBNCFGHOST' and prompt with F4. Change the 'Use Secure Connection' parameter to *YES. Press Enter. Enter the command 'RBTNETLIB/RBNCFGNODE' and prompt with F4. Navigate to System > Connection Properties. (For Edit of existing connection) Select your Host system in the Connection Properties list and click the Edit button. (For adding a new connection) Click the Add button. Fill out the Connection Properties as needed. 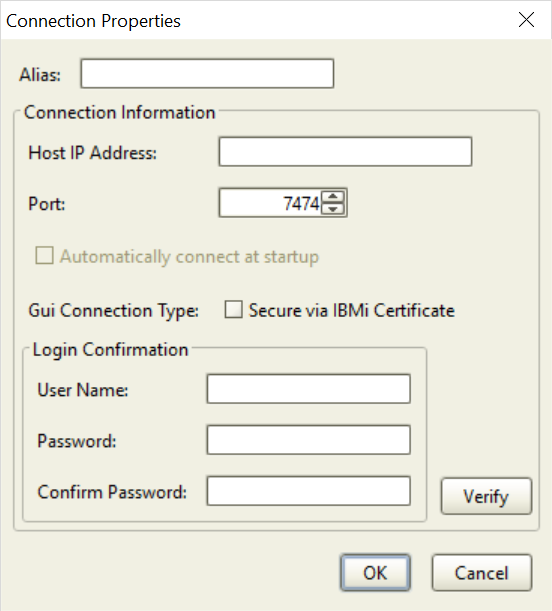 Check the 'Secure via IBMi Certificate' box. Click OK. 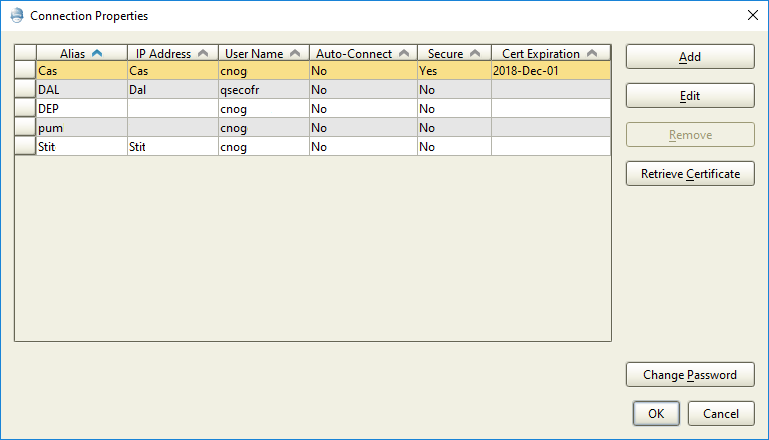 In the Connection Properties list, the value in the Secure column will change to Yes and the Certificate Expiration Date will be displayed. For more details about this new feature, see the Implementation of Robot Secure Connections document.